Nadim Houry is director of Human Rights Watch’s terrorism and counter-terrorism programme. 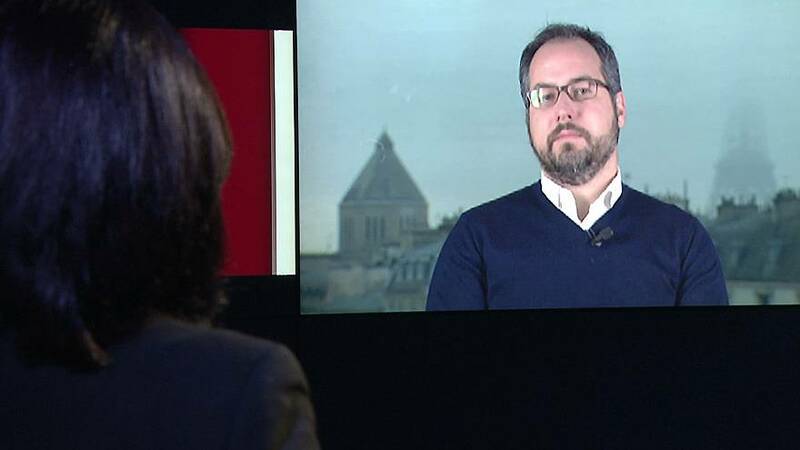 He spoke to Euronews Insiders about how victims of torture in Syria can seek justice in Europe. Insiders host Sophie Claudet asked Houry about the scope and magnitude of torture in Syria, in his experience. “It is systematic and widespread. I’ve been doing human rights work for 15 years in many parts of the world… I have rarely seen such a systematic practice as I have seen in Syria… of torture. “Yes definitely. I mean we’ve documented torture and executions by other groups opposed to the government. Both used to be known as the Free Syrian Army, but also groups associated with Al-Nusra, or with ISIS. “If they find that they have enough evidence without actually being able to investigate the person, we could see potentially a local arrest warrant, and maybe one day a form of international arrest warrant, if there is any sort of agreement between the two countries. “We should keep in mind that these prosecutions in Europe should only be one component of a much broader justice approach to the conflict in Syria which saw so many war crimes and crimes against humanity. “There still needs to be a political move towards referring the situation to an international tribunal. Will this happen in the Security Council given Russia’s opposition? Maybe not, but could there be alternative avenues potentially through the General Assembly? “Can justice supersede it? We don’t like to think in these terms. I mean, it’s more can you create a track for justice, so you sow the seeds of accountability. “And if politically it’s impossible to get accountability today because senior security members are not going to be travelling outside of Syria, can you at least sow the seeds today (so) that the next time they travel they will be arrested.